Ms. Ndiwane participated in SMDEP at Columbia University College of Physicians and Surgeons and College of Dental Medicine in 2013. She graduated from Brandeis University in 2016 with a bachelor degree in Health: Science, Society, and Policy. In the summer of 2017, she served as a TA for SHPEP scholars at Columbia University. 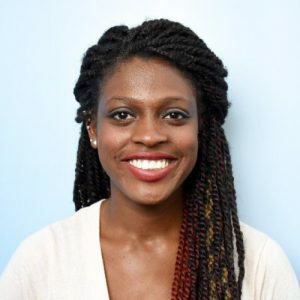 Additionally, in the summer of 2018, she served as the Program Assistant at SHPEP Columbia University. Ms. Ndiwane’s passion for educational leadership and empowerment of underrepresented minorities in STEM has led her to pursue a Master’s degree in Science and Dental Education at Columbia University, Teachers College in addition to her dental degree. Today, she is 3rd year of dental student at Columbia University College of Dental Medicine. What led to your interest in dentistry, medicine, another health profession or other career? Prior to my freshman year of undergrad, I was unsure about what career path I wanted to pursue. I knew that I wanted to study in the sciences, but I was eager to explore and learn more about different careers in medicine, pharmacy, and dentistry to see where I would best fit. In my first year at Brandeis, I participated in a program called Global Medical Brigades, where I had the opportunity to travel to a medical clinic in Honduras and shadow Honduran dentists. This experience further exposed me to the lack of affordable and accessible dental care in many regions around the world. I immediately realized how much dental care could positively impact someone’s quality of life and well being, and knew that I would enjoy a career in building healthy smiles. I participated in SMDEP the summer after my freshman year at Brandeis. The mentorship I received during SMDEP and through personal shadowing experiences inspired me to persevere and continue to work towards my goal of becoming a dentist, despite the many obstacles I faced. SMDEP at Columbia allowed me to connect and network with peers and various medical professionals across several fields. I was able to learn about different dental specialties and practice dental techniques in lab once a week with current students and dental school staff. The mentorship and application advice I received at Columbia from Dr. Dennis Mitchell and Ms. Sandra Garcia were invaluable and helped me to feel more confident in my abilities. At home that summer, I also shadowed my family dentist, Dr. David Leader, DMD, MPH who further exposed me to the field of dentistry and current events in public health dentistry. All these experiences reaffirmed my career choice in dentistry and ignited my passion for improving health care for disadvantaged, vulnerable populations. If you had the opportunity to talk to a potential dental or medical student, what would you tell him/her? I encourage future medical and dental students to seek out mentors! As a black woman studying science at a predominately white institution, I sometimes felt isolated and discouraged about my future. Actively seeking out mentors who were able to motivate me and advocate for my best interests was a tremendous help. Also, stay focused on your goals; don’t let one or two bad grades deter you from your dreams. The pre-med curriculum is a game of endurance, so be confident in your abilities and make sure you start and finish strong.